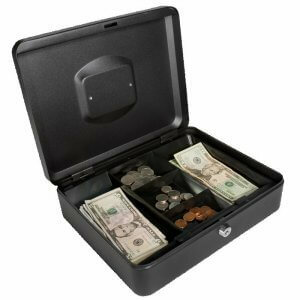 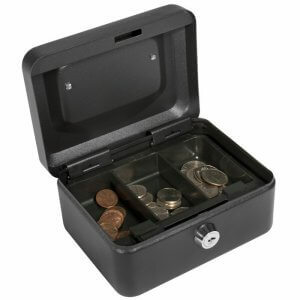 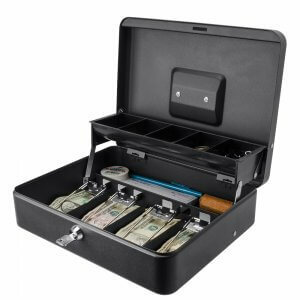 This multi-purpose box is ideal for storing cash and valuables and can be used for storage for both home and businesses. 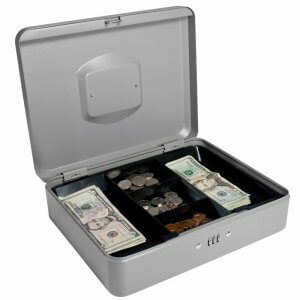 Features a resettable combination lock for key-less entry perfect for organizations because it allows for multiple user access. 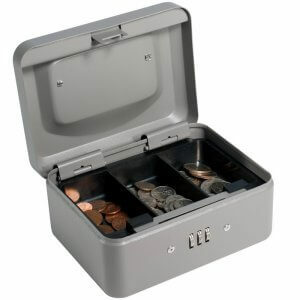 Four spring loaded clip slots in the lid of the box to securely hold down items. 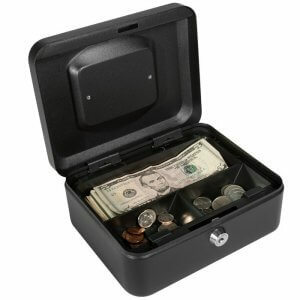 Useful fold down carrying handle for portability and storage. 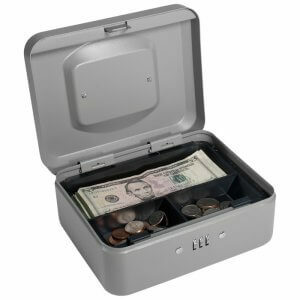 The continuous piano hinge allows for this cash box to opens flat. 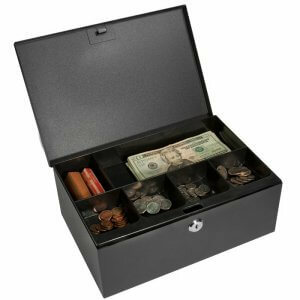 This multi-purpose boxes are ideal for storing cash and coins. 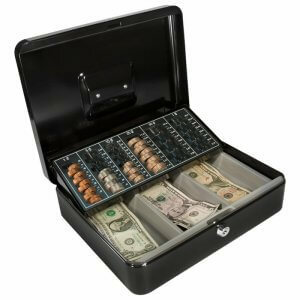 Can be used for storage home and businesses. 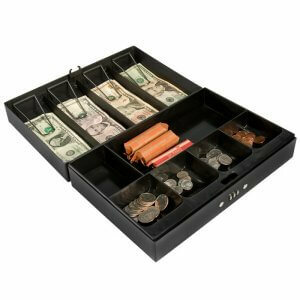 Multi- compartment removable tray for organization. 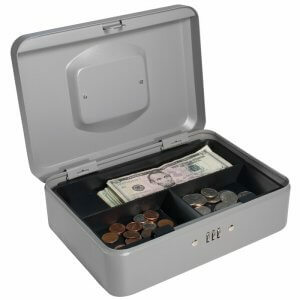 Useful recessed fold down carrying handle for portability and storage.